A quality steel pipe able to ensure resistance and long life of the entire plant is the best choice for the tubing of hydraulic and pneumatic systems inside fluid power circuits. RVS proposes various types of cold drawn steel pipes suitably treated to withstand the characteristic stress of the sector, in particular flow of the hydraulic oils under pressure that permit functioning of the plant. 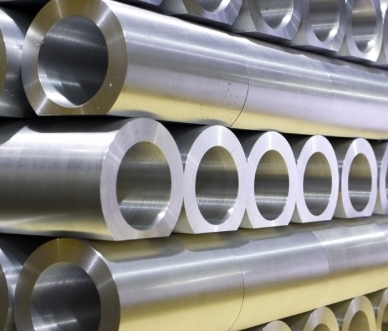 The pipes furnished by the company undergo effective bondering, annealing and normalization processes that guarantee excellent resistance to corrosion and wear. Contact us for information regarding available types of steel pipes.